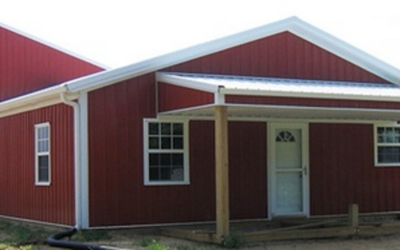 Newcomb Construction offers post frame construction services for customers across Southern Illinois. We design, build, and repair structures that serve numerous residential, commercial, agricultural, and institutional storage and shelter purposes. 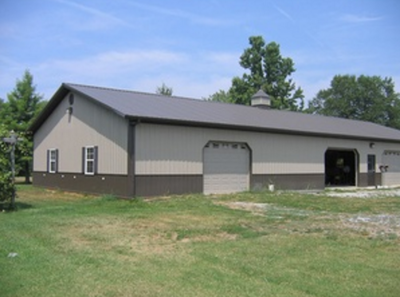 From horse barns and suburban garages to storage facilities, Newcomb Construction will build you a purposeful, durable, and lasting structure that meets all of your individual needs. 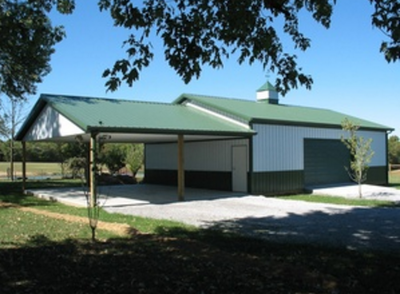 Post-frame buildings are the smart, economical choice for customers requiring a sturdy shelter, storage, or recreational facility in Southern Illinois. Our process begins with us digging holes for our specially-treated wooden posts that’ll be the skeleton of your structure. The posts are then secured in place. Once they’re anchored in position, we’ll start building vertically to meet your structure’s height requirements. These wooden post frames are then covered with steel roof and siding panels to form solid structures. All of the materials we use in our post frame construction are of the highest quality from cladding fasteners to our treated posts and factory waranteed steel. Your accessibility options include sliding, overhead, walkthrough, and Dutch doors. Windows are also available in several sizes. You can also add overhang, wainscot, or insulation or many other options.